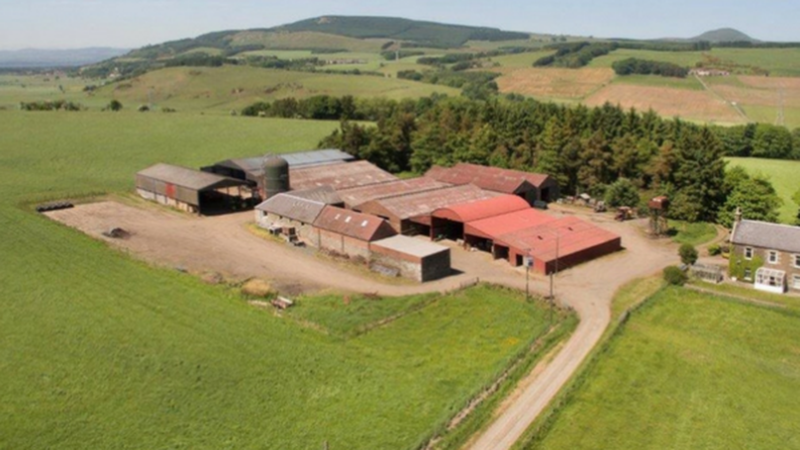 Galbraith is handling the sale of Auchmuir Farm near Glenrothes in Fife, an excellent and extensive mixed farm with an attractive farmhouse, in an accessible location. The property comprises an attractive traditional three-bedroom farmhouse, an excellent range of modern and traditional farm buildings, a derelict cottage which has the potential to be converted into a second dwelling and over 500 acres of prime agricultural land. The farm benefits from being located in both a fertile and accessible area of rural Fife and I would expect Auchmuir to attract a considerable degree of interest. The farmhouse is attractive, spacious and retains many period features. There are an excellent range of modern and traditional farm buildings on the property, and the arable land is well suited to producing good yields of a wide range of crops, notably cereals, and fodder but is well suited to potatoes or other root vegetables. The purchaser would find it relatively straightforward to continue with the business as a mixed arable and livestock farm with this quality of land. The current lotting also allows for existing local farming business to acquire one or more of the land lots and benefit from economies of scale. This part of Fife is well known for the attractive traditional villages of the East Neuk and Fife's beautiful coastline includes sandy beaches at Tentsmuir and Elie, all within an hour's drive. The purchasers would be able to enjoy the surrounding area and the farmhouse could make an ideal family home. The land at Auchmuir Farm extends to 203.67 Ha (503.27 acres) of which 249 acres are arable land, 231 acres are used as pasture and 18 acres are woodland. The James Hutton Institute has classified the land as principally grade 3.1, grade 3.2 and grade 4.1 with some grade 5.1. The land is split into three blocks divided by the minor public road and there is good access to the fields from a network of farm tracks or directly from the public roads. There are areas of woodland interspersed throughout the property, predominantly at the field boundaries, which provide shelter and are an attractive feature. Currently the farming system at Auchmuir is a mix of arable and livestock farming, with the main arable crops being malting barley, spring oats and wheat. The livestock business has consisted of 100 sucklers with followers.